A few weeks ago I was fortunate enough to attend not one but two great whisky events in the San Francisco Bay Area; Whiskies of the World San Francisco (WOWSF) and Whiskies of the World San Pedro Square Market (WOWSPSM). There was so much going on during both events that I had to write two articles. Today I’m focusing on San Pedro Square Market. This was my first time attending WOWSPSM (man that’s a long acronym) so I didn’t really know what to expect. The event was held on a Thursday night so I was curious to see how busy it would be. Two different sessions were available; 6pm to 8pm and then 8pm to 10pm. I attended the later. Next time I may attend the 6pm session as by 9:30pm some of the distillery representatives were visibly tired and eager to go home (who could blame them? I certainly don’t). WOWSPSM was held in San Pedro Square Market in downtown San Jose, which is a really pleasant area that boasts many different restaurants, bars and pop-up food stands. The atmosphere of the area is always lively and welcoming, so it seemed like a great place to hold a whisky tasting. The line to get in was very long but once 8pm came around it seemed to flow relatively quickly. I was one of the first through the door (I like to be punctual when it comes to whisky) so I had my choice of whiskies to taste at the start of the night. A friend of mine (who definitely wouldn’t call himself a Whisky Fiend) was in attendance with me, so I spent much of this early time giving him a quick rundown while the crowd was still small (more on that coming up in another post). Arriving early also meant that we were able to see everyone else entering. I would say that at least 30% of the attendees lined up for food as soon as they arrived. I still don’t understand why people don’t just eat beforehand. The event is only 2hrs, so why waste time lining up for food? Is it really worth saving $10? WOWSPSM was a relatively smaller event with fewer whiskies on show, but also fewer attendees. As a result I was able to spend more time talking and tasting with the brand representatives, which works out in my favour. At $80 per ticket, a 2 hour event like this is not bad value. By comparison, WOWSF was $140 for a 3 hour event… So the per hour cost is pretty similar. If you don’t like big crowds, I definitely recommend Whiskies of the World – San Pedro Square Market. Wow. How have I not been buying Glencadam for years? All 3 whiskies were fantastic but the 15 Year Old was amazing. It was the highlight of the event for me personally. I’m a huge Bruichladdich fan. I pretty much like everything they make… including the Islay Gin and I’m not a gin guy. I was hoping to get to try the Laddie 8, but they unfortunately didn’t have it. I’m a fan of all things Highland Park and I really wanted to try Dark Origins. I was expecting a lot of sherry, spice and nice peat… and I wasn’t disappointed. I’m hoping to get to write some detailed tasting notes in the near future. I’m a fan of what these guys have created in the middle of the Californian wine regions. I previously visited the distillery and wrote that you can tell the new make spirit is of very high quality but the whisky is still very young. 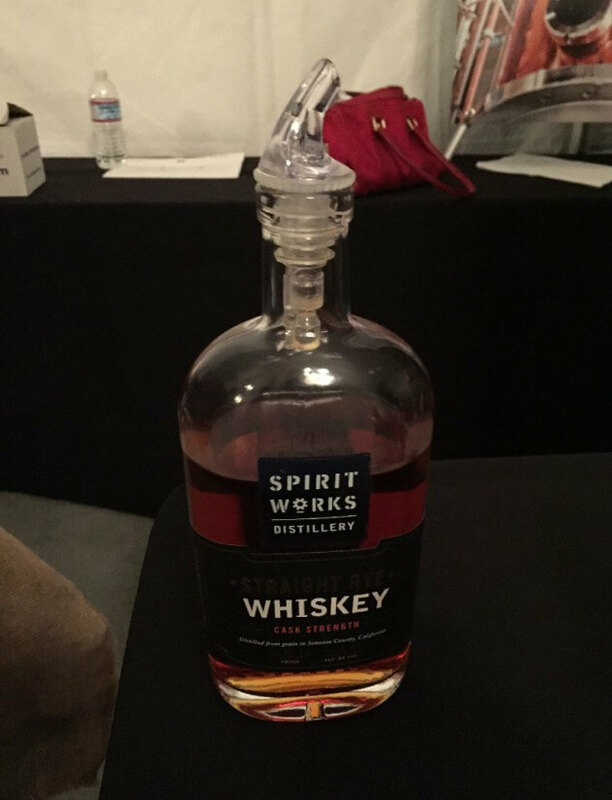 While I stand by that opinion, I was able to try their Cask Strength Rye Whisky at WOWSPSM and I really enjoyed it. These guys are on my watch list. These guys are really interesting. The cognac flavours give the whisky some definite uniqueness and while I’m not sure I’m sold on it yet (I may have to try some more)… I absolutely respect what they’re doing. They’re make great quality whisky that is not trying to be Scotch or Irish or whatever else. They’re trying to do their own thing and that’s awesome. I like the 10 Year Old so I’ve been meaning to try Old World for quite some time. The idea is very interesting… make a rye that’s finished in French Sauternes, Maderia Sherry and Port. It’s a novel concept and it works pretty well. Alexander Murray & Co may have stolen the show for me. I’ve never really bothered too much with Independent bottlings because there are so many distillery bottlings available, but I was really impressed… and not just by the 53 Year Old Highland (which was pretty amazing) but by the whole portfolio. Everything was either great or at minimum really interesting. The Polly’s Cask (aged in ex-Firestone Walker beer barrels) is like nothing else. It’s a pleasantly yeasty-whisky. I wish I could have tried more of their range. From my perspective Whiskies of the World – San Pedro Square Market was a great event. It was shorter than Whiskies of the World – San Francisco but had both fewer people and lots of choice. I was able to spend time with my friend and easily show him different expressions to understand what he enjoys without being overwhelmed. I will definitely be back next year. 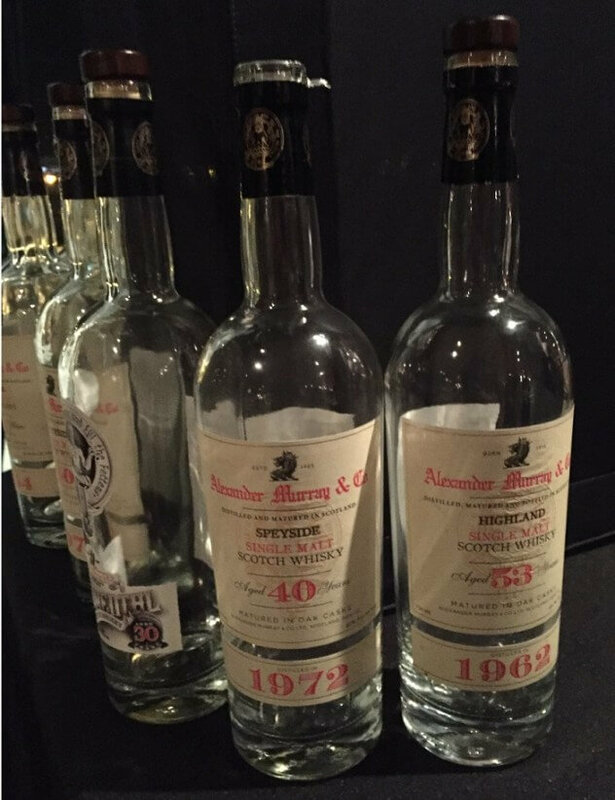 I attend these types of whisky events to try new expressions and old favourites, but I also enjoy mingling with both industry people and other attendees. Both of this years Whiskies of the World events ended up being a little bit surreal for me from this perspective. I kept meeting people who had either read one my articles, heard of the Game of Drams or seen the logo on Twitter or Facebook. I was wearing a black polo with the Game of Drams logo, so I kept getting stopped by people who recognised it and wanted to chat. They asked about the website, blogging in general and of course whisky. I really enjoy speaking to people about whisky so it was a nice feeling. So to all of those people who I had the chance to speak with; it was nice meeting you. Hopefully we’ll speak again at another event… and to those who attended but we didn’t get the chance to speak, next time come by and say hello.